Sherlock Holmes is leaving Baker Street for a new home. It's been announced that later today, June 2, Sherlock Season 3 will become available for streaming exclusively on Netflix. Longtime and recent fans alike will finally get to see the conclusion to the literal cliffhanger finale of Season 2. Netflix's most recent acquisition is by no means its largest, though Sherlock himself may say it's telling of larger schemes. Fellow BBC show Doctor Who, which is also written and run by Steven Moffat, has seen a massive spike in popularity following its release on Netflix. Doctor Who, whose seventh season is currently unavailable on Netflix, was the number one downloaded show on iTunes this past year. While other factors—such as better budgets and a more modern story—may contribute to this, the audience Netflix opens a show to certainly can't be denied. With the fame of Sherlock's two lead actors—Benedict Cumberbatch and Martin Freeman—constantly rising, the program may soon be too expensive for a BBC production, but not too expensive for Netflix. What do you think of the acquisition? 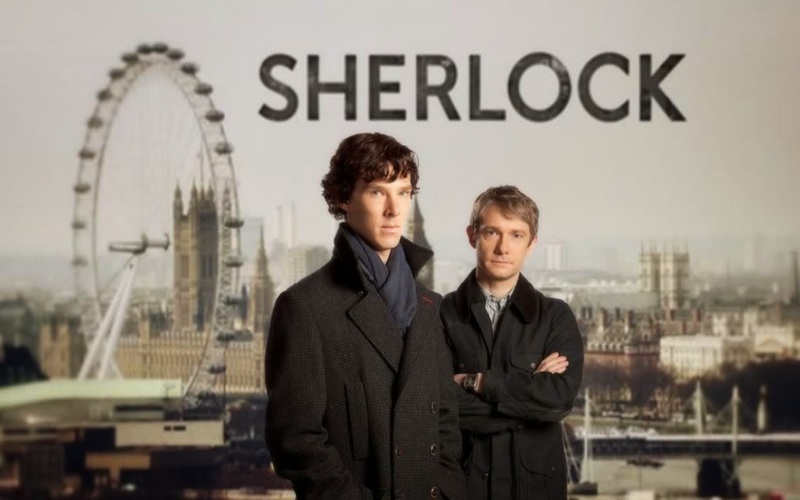 Could Sherlock be the next show produced by Netflix? Sound off on the comments section below as the mystery unwinds.